What do the jobs of tomorrow look like? Can you make meat without animals? Will startups take us to the stars? What’s the best way to regulate drugs? What if malaria drugs stop working? What does the future hold? 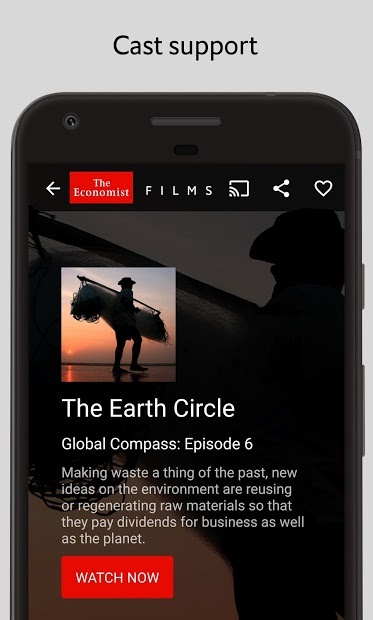 Economist Films makes short, mind-stretching documentaries that examine big global themes. 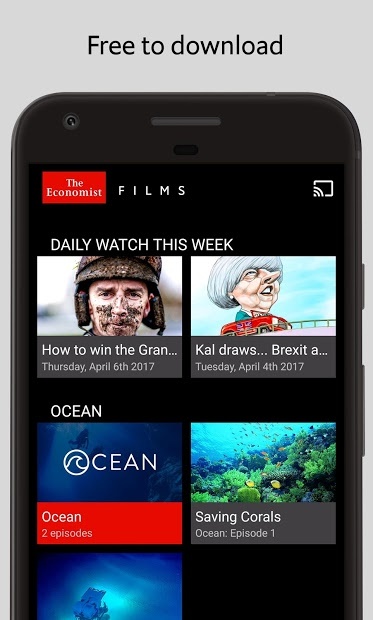 Each one combines analysis, on-the-ground reporting and a dash of humour to capture the essence of The Economist. Oceans: A Series that shows how cutting-edge science and radical thinking are unlocking the mysteries of the world’s seas. Global Compass: A series that examines the countries and people pioneering new approaches to persistent social problems, from prison reform to drugs policy to providing low-cost health care. Passport : An original travel series for the intellectually and culturally curious, exploring some of the most exciting city destinations in the world. There are many other shows available. Find them out and stay tuned with what is happening around the world.